Flower Bouquet Printables For Valentines Day! Valentine’s Day is right around the corner so most of us are starting to think about our school parties, Valentine’s Day gatherings or a special day with our significant other. All of the hearts, chocolates and flowers that we love can sometimes feel a bit routine when planning Valentine’s Day dates and gifts. Elevate the classic bouquet with these printable wraps. ProFlowers created a guide with the how-to steps as well as 10 different printable bouquet designs each made for both a vase and a bouquet. Check out the Valentine’s Day wraps for someone special or one of your best girlfriends with cute designs that feature hearts and xo’s. They would be a perfect addition to a Valentine’s Day party when wrapped around vases or handed out wrapped around sweet bouquet party favors. 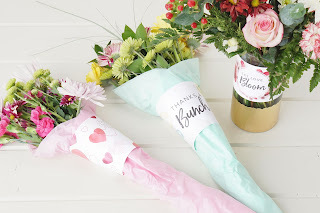 If you aren’t a huge flower person, try creating a bouquet made with candy or chocolate covered strawberries and wrap it with a fun patterned wrap. Another great part about these wraps is that their use extends far beyond Valentine’s Day. The romantic wraps can be used for anniversaries but they also have neutral and celebratory designs that are perfect for birthdays, teacher appreciation, baby showers, bridal and wedding parties and those “just because” gifts. Another tip, try writing a personalized message on a wrap instead of a typical card or flower note. 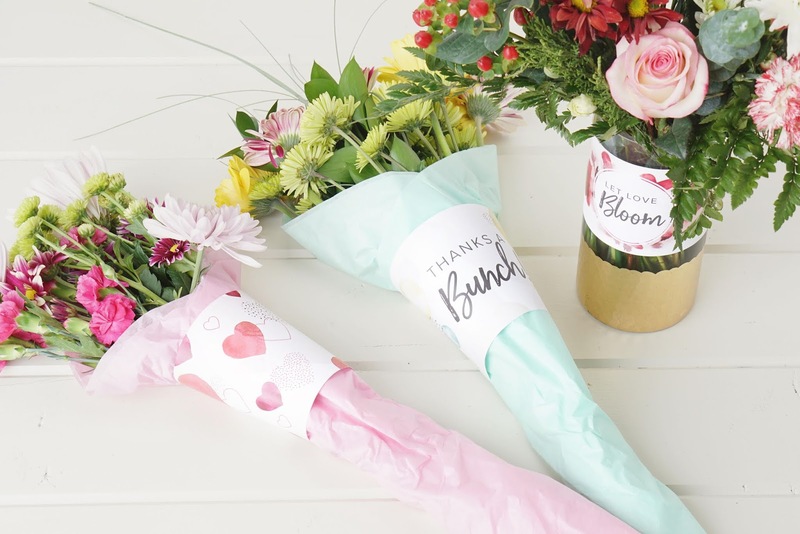 A nice bouquet of flowers or a potted plant with a personalized wrap is a perfect way to say “I love you,” congratulations, or just brighten their day!